Display Me is an industry leader with more than 12 years experience, our aim is simple; to deliver top quality display solutions at the best possible prices. Whatever your point of sale and merchandising needs, Display Me is the key to successfully bringing your message to your market. We specialise is providing the kind of innovative marketing display tools that grab attention and help you stand out from the crowd. 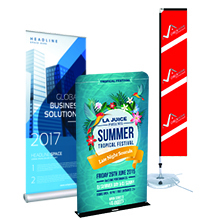 Our comprehensive range of fabric flags, roll up banners, media walls and exhibition displays will ensure your next exhibition, expo, seminar, grand opening or grand sale produces the necessary visual impact. However our display solutions are not limited to just event marketing tools, as our indoor and outdoor wall frames, window sign systems, notice boards and glass boards, brochure holders, update boards, suggestion and light boxes and queue management systems guarantee you have everything you need for your office, work space, club and community. Wall Frames: Being the ideal attention grabber, aluminium poster wall frames are an essential marketing tool for any business. 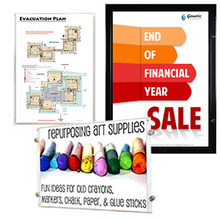 We stock a comprehensive range of snap frames, clip frames, click and poster frames, snap frame covers and lockable and outdoor poster frames that cater for all industries. Great for advertising, product and event promotion and for general workplace signage, we're sure to have your size specs covered. Our main sizes are A5, A4, A3, A2, A1, A0, 30 x 40 inches and a wide range of US sizes. All of our frames come with a super easy insertion and removal system. In the snap frame range the smaller sizes come with a bonus cover. Window Sign Systems: Perfect for real estate, retail, art galleries and general directional signage, what better way to highlight your stock, products, offers and displays than with window display solutions. 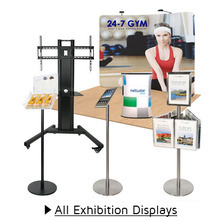 Display Me caters for all types of window display solutions, such as cable light box displays, acrylic cable displays, snap hangers, directional hanging and gallery track hanging systems. We use unique acrylic pockets with with magnets to keep the signs sealed. This suspension system comes as a portrait or landscape display system and can hold A1, A2, A3 or A4 acrylic pockets. Floor Sign Systems: Our floor sign stands and free standing signs are purpose built for the retail, banking and hospitality industries. 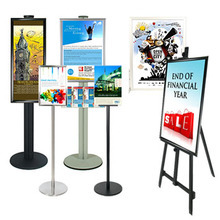 We stock a range of mall stands, free standing poster stands, menu stands and a variety of pole system free standing signs that are ideal for information displays, shopping centre displays and directional signage. All of our systems come in many different sizes and all with a range of different attachments. In this category we have lobby stands, foyer stands, easels, A Frames, mall stands and water base signs. Brochure Holders: There's really no need to have your brochures laying flat on a table or counter and constantly spilling out onto the floor when you can use purpose built brochure holders, floor brochure stands, wall brochure holders, counter holders as well as practical holders for business cards and postcards. 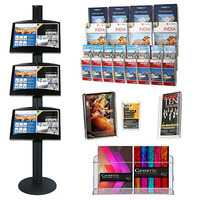 Brochure holders are simply the best way to keep your promotional material organised and visible. 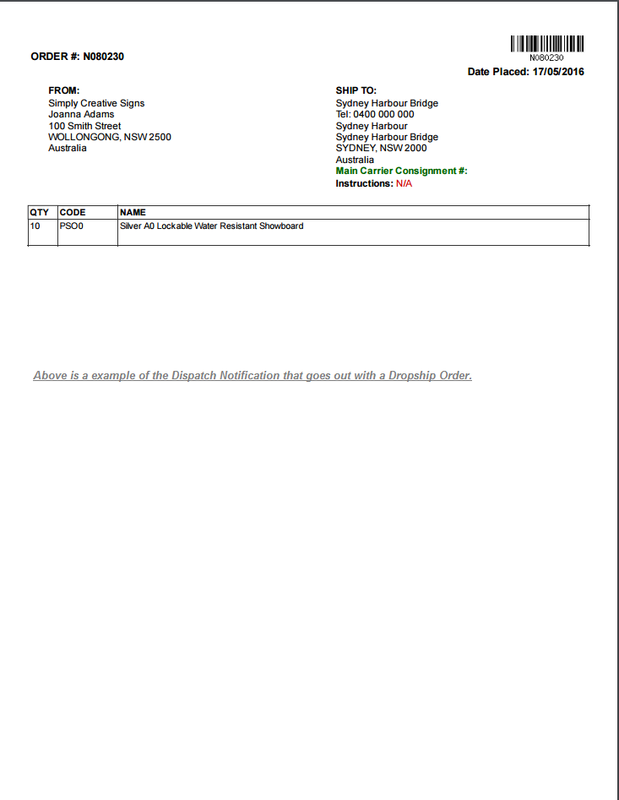 Display me stocks a comprehensive range of A3, A4, A5 and DL brochure holders. We keep the whole range of Expandastand brochure holders. Counter Sign Holder and Menu Sign Holders: A highly effective way to feature counter top displays and menus is through the use of point of sale holders and menu holders. Our range of menu holders and point of sale sign holders include patented designs, such as our swivel sign, multi-display holder range. We offer a variety of promotional options, including aluminium sign holders, deluxe acrylic sign holders such as flip stands and table easel style point of sale a and table displays, just to name a few. Acrylic sign holder and aluminium sign holders sizes range from DL sign holder size to A5, A4 and A3. 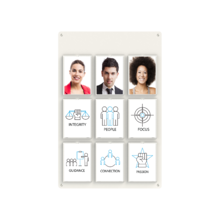 Event and Exhibitions Displays: Display Me is an industry leader when it comes to high quality signage solutions for events, trade shows, expos and exhibitions. Whatever your exhibition display needs, we are sure to have you covered as we stock a complete range of fabric banners, pop up walls, exhibition flooring, brochure stands, trade show display accessories, pull up banners, media walls, fabric backdrops, modular folding display banners, trade show booth displays, tear drop flags, other fabric flags like feather flags, block flags and bow flags and promotional display counters. 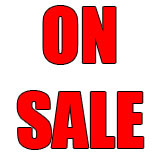 Flags and Banners: There is over 200 fabric flags in our range They are used to attract foot traffic to a grand opening or that all important yearly sale means you're absolutely going to need eye catching and colourful fabric flags. Need to stand out from the crowd at a busy expo? Then only the finest fabric roll up banners and premium tension banners will do. Display Me is a market leader in delivering a one-of-a-kind, high-quality display materials, only stocking the best quality flags and banners, such as double and single sided flags, regular and premium roll ups and single and double sided premium tension roll up banners. All flags and banners come in a comprehensive range of sizes and styles. Ready Designed Signs: Signs are an absolute must for any industry. 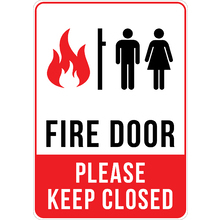 For example, signage for health and hygiene, fire signs,, alarm signs, parking signs, no smoking signs, mobile phone signs, safety signs, ohs signage and general access and general direction are not only a legal requirements but operational necessities as well. Display Me has a full range of aluminium composite signs, these metal signs that are suitable for indoor or outdoor use. Custom signs can be sent in to us for printing. The high quality photo resolution is 720dpi and is available in A5, A4, A3 and A2 and is weather and UV resistant and perfect for factory walls, shop fronts, awnings, reception areas, parking lots, construction sites, building sites and much more. Update Boards: These are specialised Photo Boards you need to display employee and team rosters or perhaps wall mounting picture boards, photo boards or general information in reception areas, staff meeting rooms, schools, gyms, offices and work places, then Display Me has a range of pockets to suit your needs. Sizes range from 4x6-inch and A5 to A4 and A3 and each size comes in two colours - clear panel and white acrylic panel. Our range of photo boards include motivational image boards, staff photo boards, employee photo boards, team photo boards, member photo display boards, teacher wall boards and information sign boards. 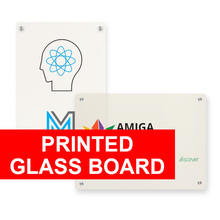 All the boards are made of high quality acrylic with stainless steel mounts. Notice Boards: Display Me offer a variety of options for displaying important and urgent information for communities, colleagues and employees. Cork notice boards and felt notice boards enable you to use the more traditional method of pinning information whereas magnetic notice boards are not only practical but creative as well because they are available in white boards and black boards that can be written upon and used as pinning options using magnets to hold information in place. 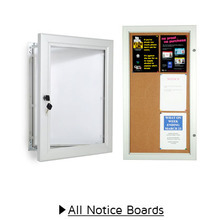 A notice board is a must for strata units, hospitals, schoolsand old age homes. Depending on your needs, our notice boards are safe and strong, the boards we offer are lockable notice boards and can be used as outdoor notice boards or internal notice boards. Glass White boards: What better way to present a menu or special of the day than with magnetic glass boards. The colours we have are white glass boards or black writing glass boards. 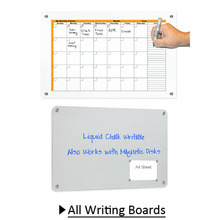 The design is far more stylish in design than ordinary whiteboards and comes with the added bonus of being stain proof and super strong being made from tempered safety glass. Queue Management: Keep foot traffic in line and organised with our range of crowd control barriers and queue barrier systems. 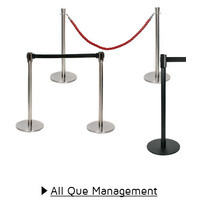 Our queue management systems include rope barrier poles and retractable barrier posts and the stanchions and bollards have rope to go with the poles. 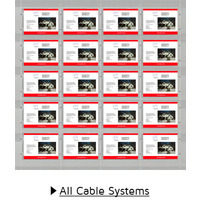 These crowd control posts are perfect for movie theatres, banquet halls and hotels. Please note our system is unique with a thin solid still base and a double lock on the base. Suggestion Boxes: Everyone who runs a club or community organisation is going to need to raise money, hold events, vote for members and hold meetings. Display Me stocks a comprehensive range of perspex raffle barrels as well as donation boxes, ballot boxes, coin boxes and comment and suggestion boxes. 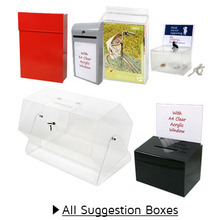 Our suggestion box range consists of wall, counter and free standing box options and all are in stock to buy online or over the phone today for same day dispatch. 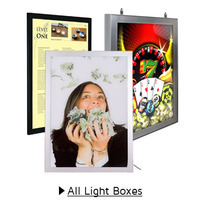 Light Boxes: A highly effective way to display promotional material is to use a light box. The slim LED edge lighting is an eye-catching highlight that works particularly well in areas that are deliberately not well lit, like cinemas. 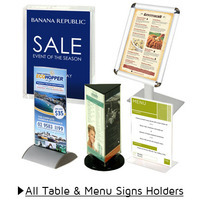 they are also perfect for presenting menu boards in restaurant or retail environments. Display Me has an impressive range of light boxes to suit your aesthetics - whether it be our clean, silver light boxes or our classic black light box we're sure to have you covered. The size options are A3 light box, A2 light box, A1 light box and A0 light box and are available in black or silver. There is also a double sided option available and an outdoor light box. Printed Glass Board: Elegant, striking and sophisticated; printed glass boards can become the stylish centrepiece for any board room, office wall or reception area. Also used for menus, advertising, signs, awards, fire evacuations and general signage, we print directly onto the back of the glass panels leaving the front of the glass with a clear and glossy finish making your digital image or artwork come alive. Glass prints are strong, durable and impressive as the 4mm toughened safety glass panel have rounded edges and round safety corners and hung using secure matt silver stand offs. Bring your very own custom print to life in two impressive size variations - 665mm x 492mm, and 913mm x 665mm. 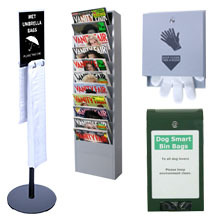 Bins: With our comprehensive range of Display Me commercial rubbish bins, you can keep your workplace, club and community areas free from unsightly and unhygienic rubbish and cigarette butts. 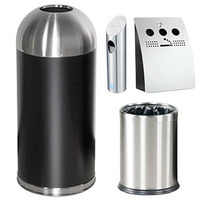 Both functional and stylish, our range includes and extensive array of dome bins, cubic bins, freestanding cigarette bins and wall-mounted cigarette bins. All are made from only the highest quality materials, including stainless steel. 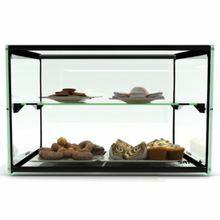 Counter Food Displays: Perfect for presenting cakes, pastries and mouth watering baked delicacies, our glass counter food displays are the practical way to showcase all your cafe's tasty treats. We offer 3 essential sizes - a one and two level 920mm counter food display as well as a two level 550mm counter food display.